Welcome to the Cobblestone Inn & Suites in Carrington, North Dakota. Our beautiful hotel is conveniently located near everything that Carrington, North Dakota has to offer including The NDSU Research Extension Center, Carrington Municipal Airport, Chieftan Conference Center, Dakota Growers Pasta. Our hotel provides easy access for traveling to and from U.S. Highway 281, U.S. Highway 52, and North Dakota Route 200. 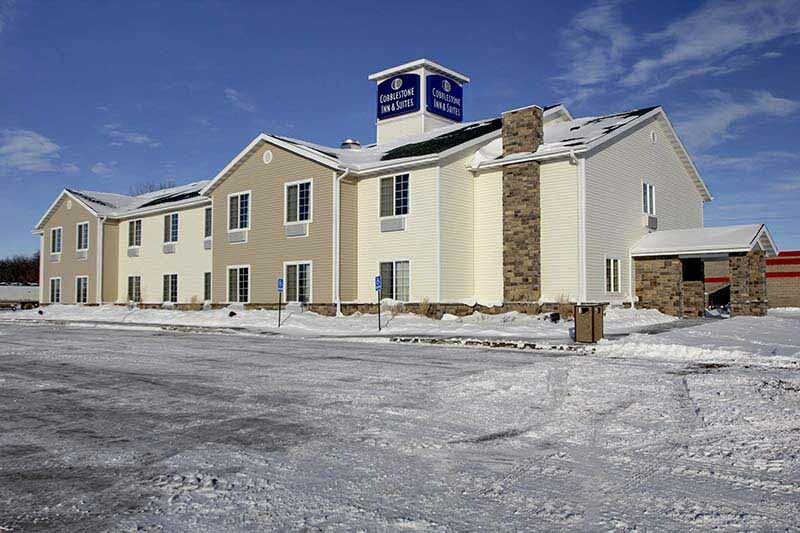 Located north of Interstate 94, our hotel is within 150 miles of Bismarck, North Dakota and Fargo, North Dakota. In town for business? The Cobblestone Inn & Suites of Carrington, North Dakota offers easy access to The Dakota Growers Pasta Company, Northern Plains Electric Co-op, Dakota Central Telecommunications, and much more! In town for some fun? Check out the Annual Birding Drives Dakota Festival, the Potholes & Prairie Birding Festival, Central City Lanes, CrossRoads Golf Course, Dakota Sun Winery, The Putnam House, The Foster County Museum, the Garrison Diversion Conservancy District, Arrowwood National Wildlife Refuge, Harley’s Place, Shamrock Bar & Lounge, Chieftain Lounge, Finch’s Five Spot, The Garden Gate, Creative Treasures, Barb’s Rose Garden Floral & Greenhouse, and more.